The Bristol based consultancy has developed a new e-learning strategy for the organisation which is now being rolled out to all its members. 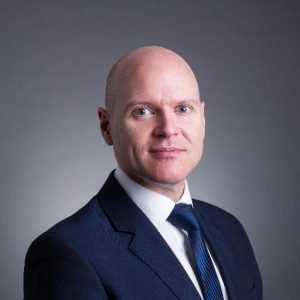 Richard Lowe, Director of Training and Digital Learning, said, “HKIB are responsible for the professional development of Bankers in the region and we’ve developed a digital learning strategy to support their member’s professional development as well as expand their online capability to a global banking community. “The first stage has been to help them source and launch their e-learning portal with over 500 financial services courses. The next phase is to evolve their digital learning offering with production capabilities to distribute a richer variety on media content. Hewlett Rand’s journey to export was given a boost by the support offered by the Department of International Trade (DIT) and its Exporting is Great campaign, a Government initiative to consolidate the export support available to businesses. Richard is keen to encourage other businesses to take the plunge into export, but is quick to point out that their success has not happened overnight. He said, “Starting to think on a global scale requires commitment and a significant investment of time, energy and resource. It’s really worth taking the time to identify not only the best market for your business but also which particular skills and services will work best for export. Hewlett Rand has benefited from membership of the Bristol and West of England China Bureau, which was established in 1998 to help businesses in the region foster a closer relationship with China. Richard continued: “I’ve been a member of the Bristol and West of England China Bureau for several years. It provides a great deal of local know how and connections to China. Hewlett Rand continues to focus on developing its UK and export opportunities supporting businesses with training and digital learning needs to develop multi-site organisations and due to launch its bespoke video training production service in November. The Department for International Trade is responsible for promoting British trade across the world and ensuring the UK takes advantage of the huge opportunities open to UK businesses. The department is a new, specialised body with significant new trade negotiating capacity, specifically designed to drive forward trade and investment policy. Exporting is GREAT partners with major UK businesses, to enable companies to seize thousands of current export opportunities available around the world. At www.exportingisgreat.gov.uk, UK businesses can search and apply for opportunities, access expert advice, trade services, training and events. For over ten years, training and digital learning consultancy Hewlett Rand’s qualified professionals have been applying their practical industry experience to develop and bring about lasting organisational change for clients, via human resources and training solutions. “Starting to think on a global scale requires commitment and a significant investment of time, energy and resource."